Co-working offers a solution to the problem of isolation that many freelancers experience, while working at home, while at the same time letting them escape the distractions of home. You need human Interaction, Conflict,Argument and Debate. We give you that platform to interact with people like you, with fresh startup and Small, Medium Entrepreneurs. Steps To Chandigarh Transportation Bus Service. Single Day Pass Desk gives you access to any open Desk and Common Area. Bring your Computer and Ideas and we have the rest Covered. Virtual Office gives you access to private cabin and Common Area. Bring your Computer and we have the rest Covered. Several Desktops in one user Machine,Where each Desktop offers a different group of applications available for Windows,Mac and Linux. A Dedicated desk is your own personal space amongst the co-working area. Your computer and office accessories will have a safe home. Offers you the most modern yet secure atmosphere for you & your team to focus what matter the most without any distractions. Why Do You Need A Coworking Space in Chandigarh, Zirakpur & Mohali? 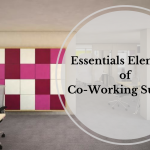 Coworking space in Chandigarh, Zirakpur, and Mohali is a specific self-directed and flexible work-place which is based on mutual trust and sharing of common place. At coworking office space you can do any type of work, where nobody is supposed to participate or interfere with what you do. In this space, different kinds of people work in different areas of interest with different objectives. This space will be equipped with private desks and some large tables for meetings. It is a shared workspace that is sufficient for everybody who wants to come out of their home to work in a better environment. Where can you find coworking office space in Mohali, Zirakpur & Chandigarh? If you are Chandigarh, Office in Chandigarh provides the best coworking office space where you can find the ambience and environment to work productively. We have some beautiful and perfectly located coworking offices with sufficient spaces. You can get it on rent at best and cheaper prices. At a Coworking office space you can find hot desks, large meeting room, kitchen coffee and more that will help you to setup your office quite economically. We make sure that you share office with the most innovative people in the city who will motivate you and help you grow without interrupting what you are doing. You can have a coworking space for an hour, half day, full day or as per your requirements with specific charges. You can contact Office In Chandigarh at any moment and choose from the large number of office space available in Chandigarh at different, best and perfect work locations. Coworking office space is perfect place for freelancers and start-ups. e.g. If you are looking to start a business, then before building a place you can start from this coworking office space and test that your idea is good or need some modification before start. 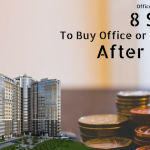 Office in Chandigarh lets you to find best best space for you in cheapest price allover Chandigarh, Mohali, and Zirakpur. Get in touch today to book a space for you!